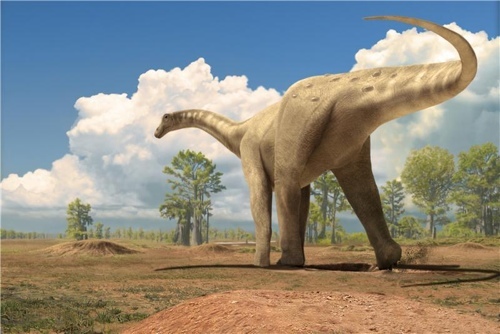 Dinosaurs were likely warm-blooded, according to a new study done on living mammals. One of the only lines of evidence suggesting that dinosaurs may have been cold-blooded has been completely dismantled by the new research. 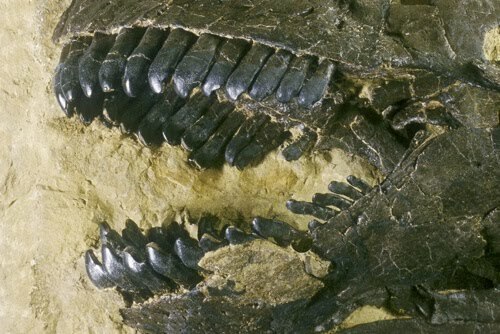 The work was done by researchers from the Institut Català de Paleontologia (ICP) and Universitat Autònoma de Barcelona (UAB); and has just been published in the journal Nature. The researchers analyzed the bones of around a hundred different ruminants, representing the full ecological diversity of that group, and studying the lines of arrested growth (LAG) in the bones. They found that the presence of these lines of arrested growth is not an indicator of an ectothermic (cold-blooded) physiology, as was previously thought, since warm-blooded mammals all have them. This completely refutes the main argument of the hypothesis that dinosaurs may have been cold-blooded reptiles. “The study we have carried out is very powerful, both in terms of the amount of material and the diversity of species with which we worked, but we did not design it to find a response to the thermophysiology of dinosaurs. We sought to better understand the physiology of extant mammals and how the environment affects them — how their growth changes as a result of external temperatures, rain and the availability of food and water,” explains Meike Köhler. “It may seem surprising that until now there has not been a similar systematic study to prove or disprove whether it is only ectotherms that leave these marks in their bones during growth. In fact, there are so many things we do not know that science does not always advance in a linear way. The ideas somehow had long been wandering among the scientific community, but the work we have published organizes them and bases them on data,” says researcher Meike Köhler. Some previous research had already questioned the very weakly-supported cold-blooded hypothesis, and there was already the idea among the international scientific community that LAGs didn’t necessarily indicate ectothermy. Examples of mammals that appeared to have LAGs in their bones had already emerged. This study very clearly finishes the debate though. Most previous evidence shows dinosaurs as often having more in common with modern mammals than modern species of reptiles; growth-rate, posture/movement, feathers/insulation on smaller species, polar habitation/little sunlight during winter, high metabolic rate/requirements, erect limbs, adaptions to running, body temperature, and bone structures. Though of course dinosaurs wouldn’t necessarily have metabolisms that closely resemble that of any living species, different species of dinosaurs could have displayed a widely varied mix of different ‘warm-blooded’ and ‘cold-blooded’ features.